I’m not about the gourmet food prep. I’m just not a foodie. Seriously, who has the TIME for all that chopping and stirring and whatever?? Life is way too short, people! Don’t get me wrong. I like yummy, delicious, fast and easy food. I aim for healthy, well-rounded recipes for dinner that my kids, husband and I enjoy (because NO WAY am I making separate meals for everyone). So, I’m always watching for cheap, fast family dinner options. 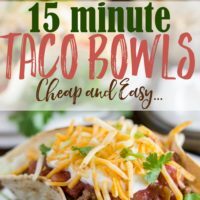 If you’re sick of the same ol’ Taco Tuesday plan each week, you NEED these EASY recipes for dinner in your life! It’s great to know a few easy options you can whip out on the nights when you forget to defrost a freezer meal, need a backup option or feel like spending (a little) time making dinner. Eating at home saves money. We all know this. When you go out to restaurants or fast food, you spend WAY more than you would if you made food at home. So, what happens? We all end up on Pinterest looking for blogs with dinner solutions. Here’s the thing about most “Pin-worthy” blog recipes: they’re freaking complicated. Even when they say they’re easy, they always involve chopping, prepping and some weird ingredient (like capers) you’ll never use for any other recipe EVER. If you aren’t an experienced cook, it’s intimidating and easy to screw up. Even if you enjoy cooking but don’t have much time, most recipes call for spending 30-40 minutes in the kitchen. With kids, busy jobs and life in general, I don’t know WHO has time to spend in the kitchen on a weeknight. 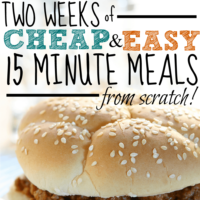 Make-ahead meals are great and learning to meal plan will help tons. But if you’re just starting the meal-planning routine, you need a few EASY weeknight recipes for dinner that you can make without stressing about it. 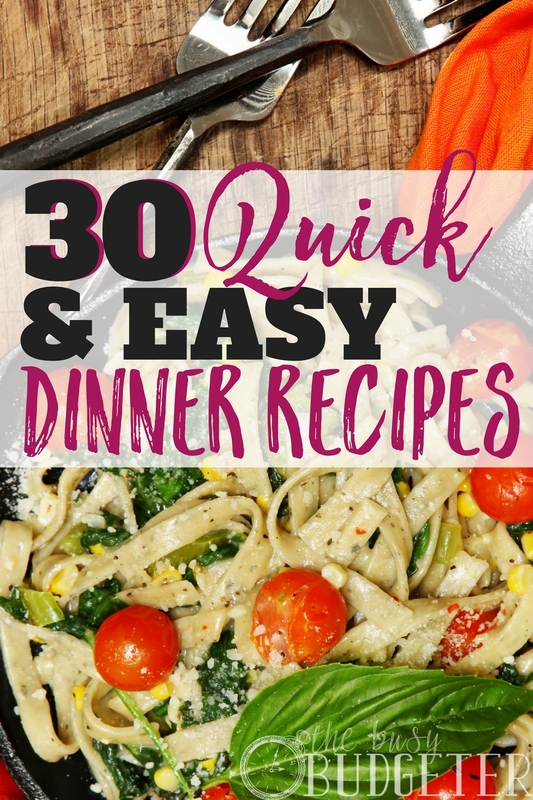 Here are 30 fast and easy recipes for dinner that will keep you OUT of the kitchen and spending more time with family! Takeout-style dinners are awesome because they take almost no time to prepare, they’re yummy and super satisfying. I found making takeout style stir-fry dinners are a great (and cheap) make-ahead option too. Here’s one to add to your menu. I’m always looking for easy meals from store-bought rotisserie chicken. It really makes cooking simple. 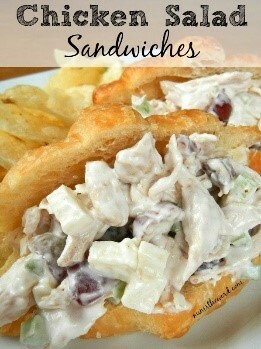 Most of us know a chicken-salad recipe or two, but here’s a good basic one with grapes, apples and celery. I’m not so into complicated recipes for simple foods (like chicken salad) but if you need a guide, definitely check this one out. You don't HAVE to give up Taco Tuesday. 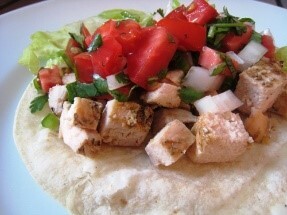 When we eat tacos it’s usually the classic ground beef variety with cheese in a bowl, but I love chicken tacos! She has a great marinade option for the chicken here, but if you want to save time you could easily use the frozen Tyson pre-grilled chicken instead. These quick and easy cheeseburger pies are the cutest. 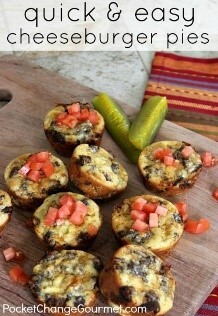 They’re kind of similar to mini-quiche but with all the flavors of a cheeseburger. They could easily be made-ahead and frozen to be reheated and enjoyed on super busy nights. They’re prefect for a cheeseburger craving! This casserole looks like it took way more effort than required. It’s a great option when you’re craving the flavors of pizza. It would be totally amazing with garlic bread and salad, but it would also be yummy alone. You could put olives, peppers or other items in there too if you want to sneak in vegetables. 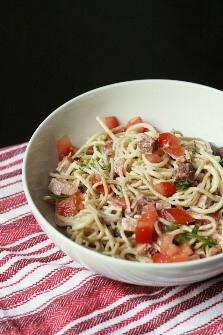 This is another super yummy Italian-style option. 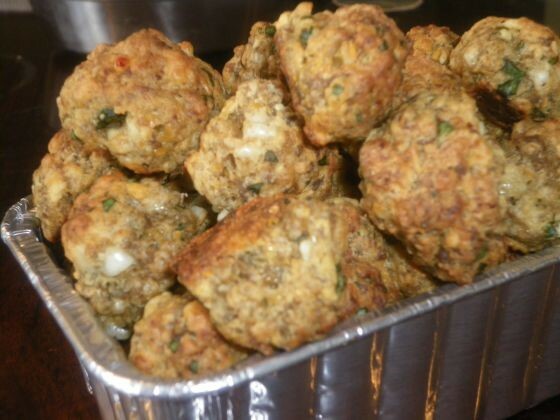 You could easily use this for a sub filling (like my 15-minute meatball subs) but would also be delicious by itself. 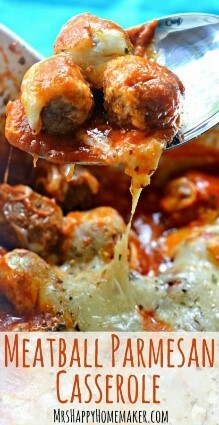 This meal screams for pasta, bread or another carb-y option to soak up the delicious sauce. Serve with broccoli or a salad. 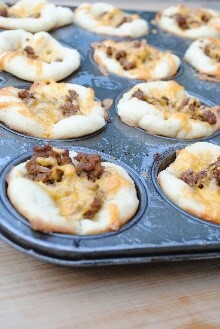 Save yourself time and stress and use pre-made pizza dough for these cute little taco cups. You could even swap it out for crescent or pre-made biscuit dough too. These little cups would make terrific freezer-options. Make the whole batch and then bag up what you don’t eat to enjoy another time. Serve these with a side of guacamole, rice or salsa. 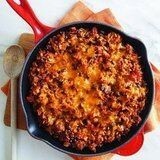 This recipe is easy and only requires one pan! Score! This would be great served over tortilla chips, in a taco bowl, or even as a taco salad. Initially the list of ingredients seemed longer than I’d prefer, but honestly most of them are spices. Put a little sour cream or guacamole over the top of this. Nom! Here’s another to add to your list of make-at-home take-out recipes for dinner. 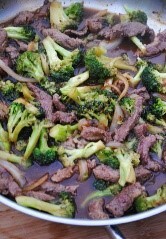 Beef and broccoli is about as classic as it gets and the flavors are all there. The sauce is easy too. Use regular soy sauce and whatever oil you’ve got on hand (if you don’t have any coconut oil). Serve this over rice. This is perfect for brunch, weekend breakfast, or yes, dinner. The braided dough seems a little complicated (and I’m sure you could simply roll it and it would be fine), but she walks you through how to do it. Serve this with potatoes and plenty of sauces (like ketchup and ranch) for dipping. These little nuggets require baking, but they come together very easily (and you don’t need to hang out in the kitchen while they bake). They’re awesome for parties and potlucks—dip them in barbecue sauce, ketchup or even marinara sauce. Serve them up with little toothpicks (if you’re feeding a crowd). 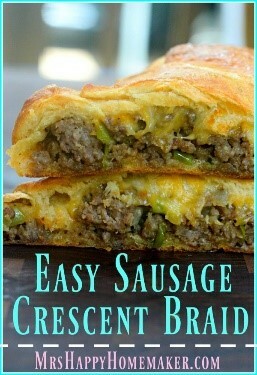 You could even use them in different easy recipes for dinner – like spaghetti or meatball subs! Using crescent dough for these makes this a quick, no fuss recipe. They’re similar to a pocket sandwich and one of those foods you can grab-and-go or enjoy away from the table if needed. 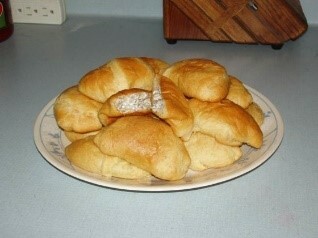 Using cream cheese adds richness and makes these quite filling. There are a number of shortcuts you can take with this dish. 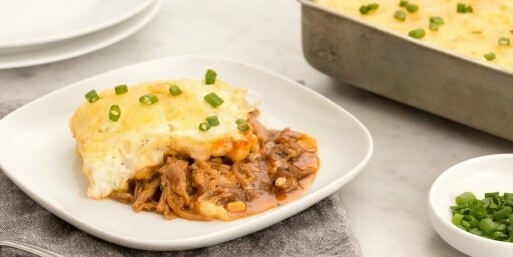 Use Instant mashed potatoes or even leftover mashed potatoes! If you find a sale on rotisserie chicken, you could easily substitute the chicken for pork. 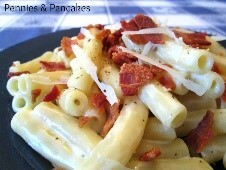 This is a super-comfort food recipe and if you take the shortcuts it’s ready fast! This meal looks like it took way more effort than it actually did. The secret is the canned biscuit dough. You make the gravy filling and drop on the biscuits. 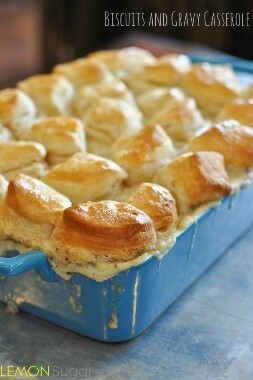 If you use the really big, poofy biscuits it will rise up and look beautiful. This is perfect for brunch or, of course, dinner. Jiffy muffin mix is less than $1 and combined with a package of hotdogs, this meal is literally one of the cheapest, most kid-friendly recipes for dinner out there. These can be made ahead and popped in the freezer if you need an easy lunch option. They’re great with ketchup, mustard or anything else you’d enjoy with a hotdog. 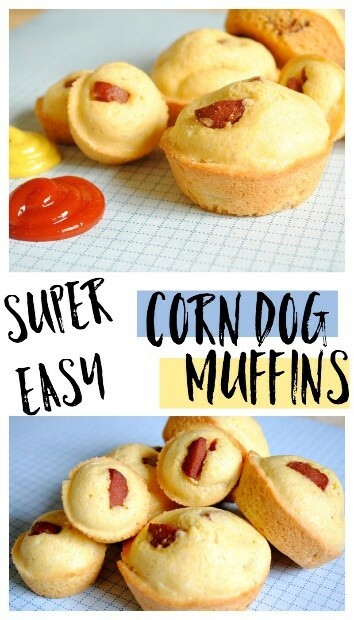 Bonus: they only require 3 ingredients: muffin mix, hotdogs and eggs. If you batch-cook and freeze bacon this will come together even faster than 15 minutes. You simply boil the pasta and finish the sauce. It’s gooey, decadent and ready in the same amount of time you could make boxed macaroni and cheese (which is still one of my faves). I love, love, love that this is her “pantry challenge” meal. Having really delicious, easy dinner recipes you can make from ingredients in your pantry? That’s totally my jam! 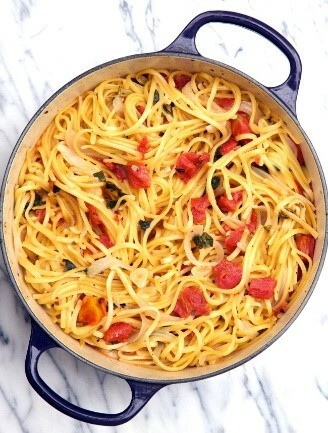 This pasta dish is ready quickly and has simple ingredients. You could swap in cream cheese for the regular cream. 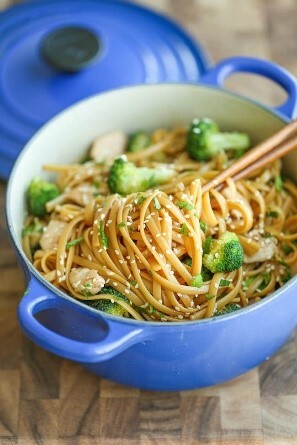 Okay, I know stir fry is one of the easiest recipes for dinner to pull off, but this one has a few ingredients you can swap out to make it even MORE simple. You can use pre-cooked chicken breasts instead of cooking them. Swap out the sauce for a bottled teriyaki variety (then you don’t need to worry about fresh ginger and leftover oyster sauce lingering in your fridge…like seriously don't even buy those ingredients). Do those two steps and this meal will come together in literally 10 minutes. 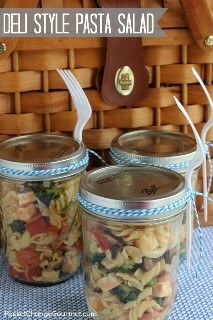 I totally love pasta salad. It’s so simple and yet so good. This recipe has a different spin on pasta salad by combining all of the yummy flavors from your local deli—ham, pepperoni, Colby cheese. It can be made ahead and enjoyed all week long. It’s a cold pasta so no worries about finding a microwave at lunch! 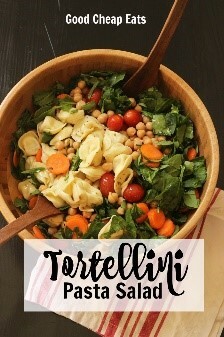 Using tortellini in this pasta salad, hello? Genius. It makes it cheesy and totally addictive. This salad uses fresh vegetables and requires a little chopping but that’s literally ALL the prep (besides quickly cooking the tortellini). Then you toss it in a bowl and enjoy. 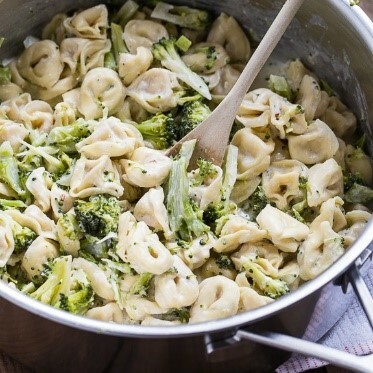 Broccoli alfredo definitely doesn’t sound like a fast dish, but when you use tortellini the sauce becomes less complicated. Broccoli and alfredo are a classic flavor combination. 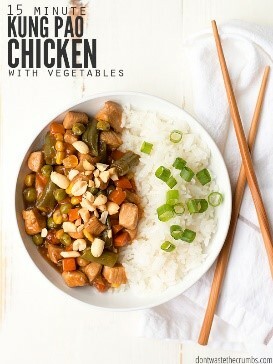 You could include chicken in this dish as well. The last thing you want to do on a weeknight is a bunch of dishes. I’ve tried to keep that in mind throughout the roundup, but when it comes to pasta I know, it’s hard to get away from two pots. Welcome to this dish, where everything goes in one pan, cooks together and is ready in no time flat! 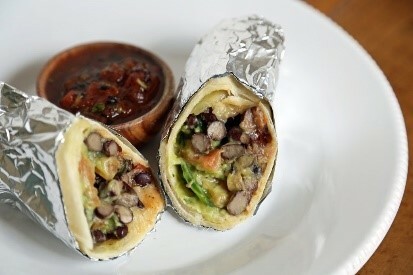 This burrito has plenty of protein from beans but if beans really aren’t your thing, you could easily swap in leftover chicken, pork or beef. I love how customizable this recipe is, because let’s face it—not everyone loves everything Chipotle and Qdoba put on burritos. Go as simple or complicated as you like. Somehow when you make it at home, it’s way better than fast food. 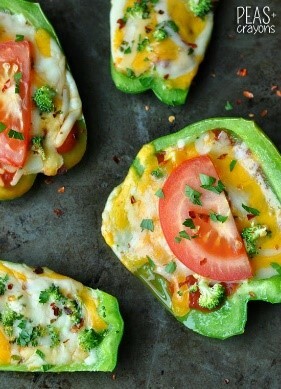 These little bell pepper pizzas are totally customizable and a breeze to change up. You could add pepperoni, ham, sausage and even chicken. You don’t need a complicated pizza crust or a whole bunch of ingredients. They’re light, low-carb and seriously yummy. 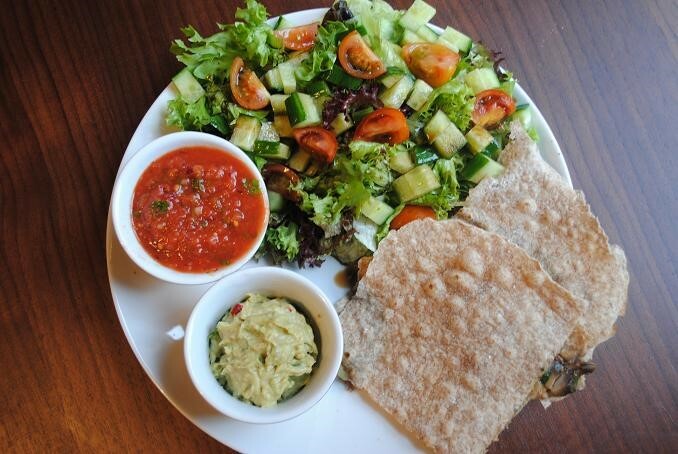 These quesadillas are healthy and super yummy. You don’t need to use the whole wheat tortillas if it’s not your thing, but they go well with mushrooms and garlic. Serve alongside a salad and use store-bought guacamole and salsa to top your ‘dillas. 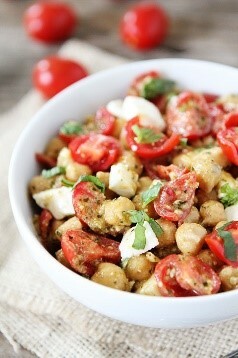 Chickpeas contain a lot of protein and they take on whatever flavors you incorporate with them. They’re one of those beans that don’t taste “beany.” This salad calls for chopping but it’s easy and uses fresh ingredients full of flavor. It doesn’t get more classic than grilled cheese and tomato soup, right? Well, these roll ups are so perfect because their dippable, fun for kids and easy to make. They’re basically a perfect finger food. If you can make grilled cheese you can definitely make these roll ups. This is one of those totally simple recipes for dinner to take garlic bread and soup to the next level! In fact, it’s so good and rich, you could eat it alone (forget the soup)! 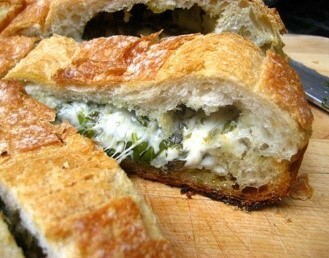 Use a little marinara sauce to dip the bread and enjoy. This is a great party food too! When KFC came out with their “Famous Bowls” they were possibly the greatest invention ever. 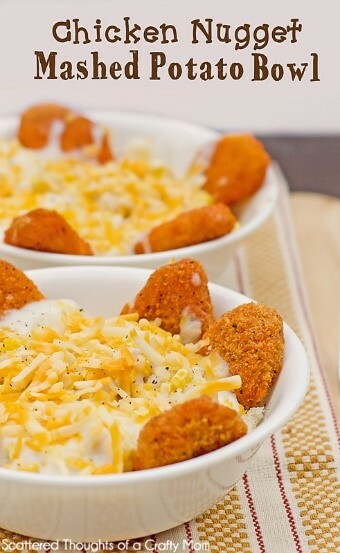 Mashed potatoes, cheese, corn, all layered with chicken and gravy. It was like a big bowl of comfort food—a chicken shepherd’s pie. These bowls are so easy to make at home (use instant potatoes). Pull them together in less time than you could drive to KFC. 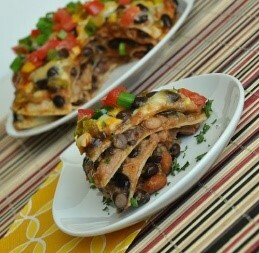 This recipe combines the best foods: pizza, lasagna and Mexican food. 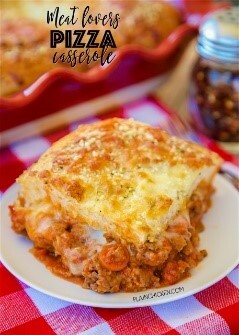 It’s a quickly layered dish with the concept and look of lasagna, but the flavors of a Mexican pizza. Genius! So simple and yet so good. It’s vegetarian but you could add shredded chicken, leftover beef or even pork. So, there are 30 new easy recipes for dinner to add to your weeknight repertoire and all of them come together fast using ingredients you’ve heard of! The next time you’re wondering what to fix for dinner, here’s your answer! What’s your favorite thing about family dinner nights? Do you have any shortcuts you use to get food ready in a hurry? Try some of these easy recipes for dinner and let me know how much you like them! This is what I need in my life! 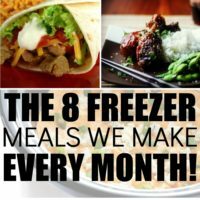 I feel like I have conquered meal planning and freezer cooking, but we get a little tired of the same old meals all. the. time. I will definitely have to add a few of these in to mix it up! Thank you for putting together this awesome list Rosemarie! Really happy to see one of my favourites in here, “taco cups with pizza dough”! I have been cooking that in so many delicious variations for years, never called it tacos though 🙂 It sounds very appropriate now that I think about it!